For you non cycling fans, La Flèche Wallonne is a one-day cycling road race held in April each year in Wallonia, Belgium. It is considered one of three one-day Ardennes classics – that lead up to the grand tours (Giro d’Italia, Tour de France & Vuelta Espana.) These classics are just a few of the classic cycling races (see insert below) that provide a tune-up for the grand tours and often the first chance each year to gauge the readiness of professional cyclist as they approach the tours. The classic cycle races are the most prestigious one-day professional cycling road races in the international calendar. [citation needed ] All of these events run in western Europe, have been fixtures on the professional calendar for decades and the oldest ones date back to the 19th century. 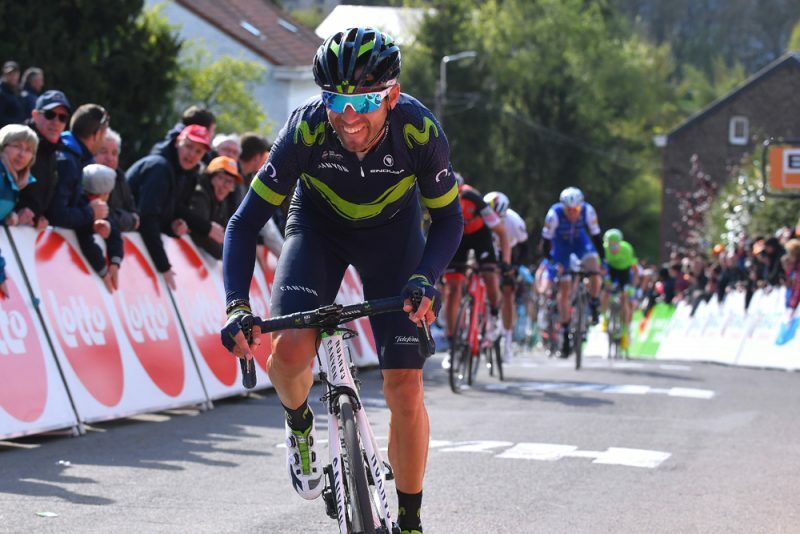 Heading into the 2017 running of La Flèche Wallonne, Spanish cyclist, Alejando Valverde has won it three straight time years – a feat that tied Belgian, Marcel Kint from 1943-45. Valverde also holds the record for most total wins as his 2006 victory was the first of his 4 times. In addition, Spanish cyclists have won the last 5 years. I have to say that Valverde’s team (Movistar) looked great from the start. It appeared that 2nd place finisher, Dan Martin (Quick-Step) was going to end his streak of finishing second to Valverde but it was not to be. A last second push by Valverde gave him the separation necessary to grab his fifth La Flèche Wallonne title. It was good to see a strong performance by 24 year old Bob Jungels (Quick-Step) who held a 24 second lead as they started the final 1km climb but was caught near the top of the race’s final ascent up the iconic Mur de Huy.